The Doc finishes his 31 days of GEOCACHING on top of a mountain (really just a big hill) and celebrates his 2nd Cachiversary! If you’re a regular reader, you’ve probably noted we threatened to post the weekly content of a YouTube Geocaching Vlogger here as a guest blogger. We are thrilled to announce this Vlogger is none other than Justin, AKA The Geocaching Doc, AKA DrJBroke on Geocaching.com! He is a member of The Geocaching Network YouTube Channel, and is the member of that network with the second most subscribers to his own YouTube Channel. Although he needs no introduction to many Geocachers out there, we would like the introduce The Geocaching Doc (sometimes shortened to The GCDoc) via an interview, which he was nice enough to take the time to do with us. We will embed a couple of his more popular videos into the post to break up the text, and we will back date his very latest video (released late last week) to the day before this blog post, as his first “guest post”. 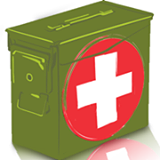 OCNA BLOG: Where are you from, when did you start Geocaching, and how did you hear about it? The GCDoc: I live in Minneapolis Minnesota, and started Geocaching August of 2011. I first heard about Geocaching in 2002 when I bought my first handheld GPS unit. Upon registering my GPSr I had clicked an option to receive a e-newsletter from a company called groundspeak. I recall setting up a geocaching account but never actually went out to find one, even though I had one close by. I ended up returning my GPSr as it had a defect, and lost touch with geocaching. Fast-forward almost 10 years later when I was going through my old email account and stumbled on the groundspeak newsletter sitting in my spam folder. I opened it, read it, and immediately created a new geocaching account. 2 or 3 days later I found my first cache and it’s been a whirl-wind of fun and adventure ever since! As of now I only have 657 cache finds with 14 hid, but I couldn’t imagine ever stopping! OCNA BLOG: You introduced yourself to the Geocaching Vloggersphere (I just now made up that word) With a “Hello YouTube” Video on March 29th, 2012. You obviously live in the same general area as Mayberryman AKA The Geocaching Vlogger. Was he a major influence in you becoming a Geocaching Vlogger yourself? How about the late Sven, who made his last video about 2 months before you made your first? Were you familiar with his work? The GCDoc: That is true I do live very close to Joshua (the geocaching vlogger), in fact we live less than 2 miles away! The irony of our friendship is that we lived so close, but it took YouTube and Geocaching to meet one another! Joshua along with Sven were my main influences to become a geocaching vlogger. I first stumbled upon Joshua’s channel after having trouble finding a very evil cache in my area. Within the previous logs I found a reference to a YouTube video that hinted to what the container looked like. That video (which was one of Joshua’s), led me to video after video of his adventures! I was hooked! Then I found Sven’s channel which showcased a plethora of creative caches which enticed me to only make and hide top quality geocaches. OCNA BLOG: You’re a charter member of The Geocaching Network YouTube Channel, created in October 2012. Do you think this “hub” is a good idea for Geocaching Vloggers all over the world, to help them to grow their channels, and get more exposure? 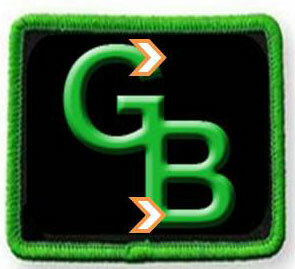 The GCDoc: I think The Geocaching Network (GCNW) is a great way to introduce geocaching to world. The network was the brain child of Joshua, who approached me to see if I’d be interested in helping. It’s main goal is to create a global community of geocachers who enjoy filming themselves caching. It’s free and open to anyone that is interested! We often have conversations with other GCNW members as to why we feel it’s our “job” to document the things that we find for the world to see. For me, vlogging is a way to express my creativity and to tell a story for anybody who’s interested in listening. In order to have an audience that wants to watch, I needed a topic that I have a great passion for…of course…geocaching! OCNA BLOG: OCNA BLOG: What is your gear that you use to make your Geocaching videos? The GCDoc: I film my videos with a Panasonic DMC-FZ200 supper-zoom camera, and have a Sony Bloggie Duo as my back-up “point-and-shoot”. I edit all of my footage with Adobe Photoshop Premiere 10. I recommend to people who are interested in vlogging to start out with what you have available, to see if this is something you enjoy doing. Most smart phones take really good video, and there are a lot of free editing software out there. Good videos aren’t only made with great equipment, good videos are made with a solid story and passion for what you want to show the viewer. OCNA BLOG: OCNA BLOG: How often do you post your videos? I see that The Geocaching Network Channel likes their members to commit to a new video at least every two weeks. Does this ever become a chore? The GCDoc: At a minimum I post weekly. I have a very young family and a busy work schedule that limits my time for geocaching. So when I’m out caching I’m typically filming the experience and creating a story around our adventure, all at once! But the process never feels like a chore to me, caching and filming are my hobbies and I couldn’t imagine my life without them. OCNA BLOG: Did you know that fellow Geocaching Vlogger GeoPaul from the UK (Geocaching.com username: Dr Evil.) has been nominated for “Geocacher of the month”, and that voting is open now? The GCDoc: I did know that he was nominated and immediately voted and “blasted” my social media with links to go vote! He is a solid geocaching youtuber and from what I read a really creative geocache hider. He definitely deserves the geocacher of the month award! A little plug for Geopaul, of course. Thanks to Justin, The GCDoc, for the interview, and for agreeing to be a guest blogger on this blog! According to the description of his YouTube Channel, it was created to “to inspire, educate and entertain viewers on all aspects of this great hobby.” For example, his most viewed video (by far) is Homemade Cryptex Geocache Container (inspiring and educational). Above in this post you see the Illegal swag video (entertaining). Sometimes they’re inspiring, educational and entertaining all at once! We could go on, but all you have to do is just watch the videos for yourself, and you’ll see! Be sure Subscribe to his YouTube Channel, and of course starting now, you can view the videos every week right here. (The GCDoc Video) GEOCACHER Finds A Pile of Bones! The Doc goes GEOCACHING with his kids, and they find something… UNEXPECTED! OTHER VIDEOS BY THE DOC! Join us as we discover new adventures in the field of geocaching every Saturday at 3:00 pm. EST on Blog Talk Radio with your host – Hikerjamz and co-host -Kenny Gibb. Have a caching story to share? Want to learn more about geocaching? This is the place to be. Call in or use the chat to experience the great outdoor adventure of geocaching ! We didn’t get an interview done this week, but we like to do at least one written (as opposed to media) blog post a week, so we’ll give you some updates on some goings on with the design of this blog. You’ll notice a new “woods” banner on top of the blog. You may have noticed we had a Desert scene banner up there for a few weeks. 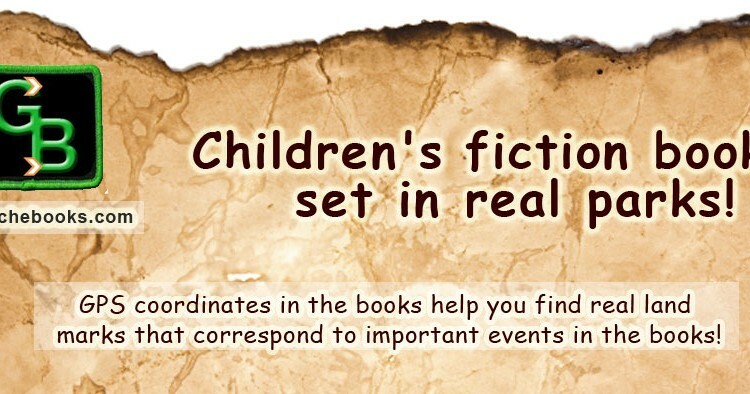 These are just two of five blog banners we have right now, and you can see them on the OCNA Blog board on our Pinterest page. Those five blog banners, and of course the OCNA logo that is on them, were designed by our Graphic Arist extraordinaire, Patrick Williams. Patrick has done a lot of work for us in the last few months, including designing our soon to be for sale OCNA Pathtags (hopefully on the market in about two more weeks). We couldn’t be happier with his work, and highly recommend him. Most importantly, he is very reasonable! If any readers need any graphic arts work, we have plenty of examples on our website and this blog, and he himself has other samples of his work. Feel free to contact us through the Contact us/Our Team link on the new navigation bar near the top of this blog. The navigation bar itself is also a new design tweak. We think it looks pretty good, although we like the design of our blog sidebar as well. After six months, we feel we’ve tweaked this blog design pretty well for a Blogger.com blog, and we’re very happy with the visual presentation. Because let’s face it, most serious bloggers use WordPress! It’s almost not even evident we use Blogger.com, as we have a custom domain name. 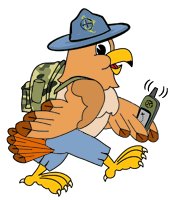 Well, we just happened to have our own Geocaching website and domain name before we started the blog, so why not use it on Blogger.com too? The slideshow of photos uploaded to our website on the sidebar (about halfway down the page) made it’s debut several months ago, but it really had the same 30 or so pictures for that whole time. We’ve saved the 15 best or so from the original thirty, and have added approximately fifty more. Our users have uploaded just under 1,000 photos to our website in our slightly more than three years of existence, so we have plenty of content for that slideshow. Remember though, we are a volunteer run and funded Geocaching website, we have a 100 Kb limit for each photo, and you have to resize them yourself before posting them. We present the same slideshow on the sidebar below as a 500 x 500 pixel embed into this blog post for your viewing pleasure. We have the questions for two blog interviews out there, and we are very near to posting the content of our 2nd guest blogger. To refresh your memory, he is a Geocaching Vlogger, although we haven’t announced who he is yet. And don’t forget that you can catch the archived HikerJamz Geocaching Talk Show here tomorrow, shortly after the live broadcast. See you soon!